Nicholas Ray was a Hollywood director who made such classic films as In a Lonely Place (1950), Born to Be Bad (1950), On Dangerous Ground (1952), The Lusty Men (1952), Rebel Without a Cause (1955), The True Story of Jesse James (1957) and The King of Kings (1967). Ray's career in filmmaking was varied and as the quote from McGilligan above suggests, he was meant to be an artsy independent filmmaker but got caught in the cog of the Hollywood machine. McGilligan is a prolific biographer and in this book looks at Nicholas Ray's career which was such a failure in so many ways yet 100 years after Ray's birth the man is still remembered as a legendary filmmaker. Ray was born Raymond Nicholas Kienzle in 1911 Wisconsin. He was the youngest sibling with three older sisters. His childhood was full of rebellion. So much so that McGilligan often compares Ray's youth to Rebel Without a Cause. At first this sort of art imitates life comparison bugged me. McGilligan mentions several times in the book that Ray's life paralleled his movies (other sources such as Truffaut are referenced to back up his claims). These comparisons wane as the text progresses. The book follows Ray's life and focuses much more on his film career than it does his personal life. We learn about his three wives Jean Evans, actress Gloria Grahame and dancer Betty Uyet and his last long-term relationship with Susana Schwartz/Ray. However, the book is really a profile of Ray as a filmmaker more so than it is a profile of Ray as a man. One of the ways we learn about Ray as a filmmaker is through his relationships with other men. Elia Kazan proves to be the most significant figure in his life. Both Kazan and Ray were part of the same theater group and both dabbled in leftist/communist politics. During the HUAC investigations, Ray was under similar pressure to Kazan to cough up names. I can tell McGilligan has somewhat of an agenda with Kazan. In a few of his footnotes and asides, the author points out that not all of the names that Kazan divulged were in accordance with a previously arranged agreement or were already publicly known as having communist ties. Kazan was a mentor to Ray, having started his directorial career a few years before Ray. Kazan's films were bigger, better and more successful and at many times during the text a Nicholas Ray film is put into chronological context with a Kazan film. Ray's career seems to have been constantly in the shadow of the great Kazan. Ray worked well with men but not so much with women. The director figured out that both Humphrey Bogart (In a Lonely Place) and Robert Mitchum (The Lusty Men) were 6-take kind of guys. They had 6 takes in them and after that the quality of their acting decreased dramatically. When that happened, Ray would move on to other scenes. Ray always sought Marlon Brando for the roles of many of his films but never got to work with him. He considered Brando the best modern actor there was. Women actresses he had virtually no patience for. He had a difficult time working with such divas as Gloria Grahame (his second wife), Ava Gardner (not surprised), Joan Fontaine and Joan Crawford. 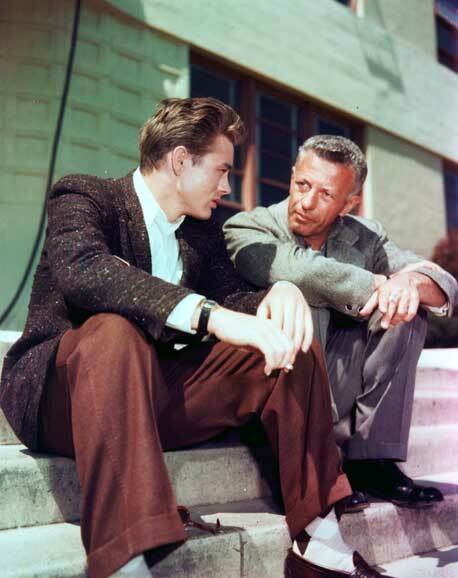 The apex of Ray's career was definitely Rebel Without a Cause (1955). While it was a critical failure (both Kazan and Welles hated it), it was a box-office hit. Today it's well-known because of the iconic status of the young stars of the film: James Dean, Natalie Wood and Sal Mineo, who became even more infamous because of their violent deaths. McGilligan spends a lot of time on Rebel Without a Cause, devoting much of the middle section of the book to it. After the death of James Dean and the release of Rebel, Ray's film career went spiraling down. His films were less and less successful and he became more and more difficult to work with. The last part of the book is a bit of a slog. I enjoyed some parts but found myself disinterested in Ray's post-King of Kings career and life. I always find biographies difficult to finish especially if the person being profiled has passed away. Ray's death (that of his career and his life) was painful to read. I was worried that this book might be a salacious read considering the reputation of It Books, the publisher. However, McGilligan really focused on Ray's career and while he explored Ray's sexual life (including his affairs with men and women and scandals including that of Gloria Grahame and his son and his relationship with 16 year old Natalie Wood), we as the reader don't often get too many moments of TMI. Although the whole part about the film Wet Dreams still disturbs me. There are lots of fun anecdotes in the book. I liked reading about how the original plot of In a Lonely Place was completely different from the final product. Ray was adamant about not letting Robert Mitchum sleep walk through The Lusty Men and worked to get the best performance out of him. Ray was influenced by Bunuel's film Los Olvidados to make Rebel Without a Cause. He really wanted to explore rebellion in middle class versus that of the lower class which had already been explored many times before. His relationship with James Dean was very interesting. They would sometimes have a father-son relationship and other times it would be more like brothers. Ray compared him to a Siamese Cat saying "the only thing to do with a Siamese cat is to let it take its own time. It will come up to you, walk around you, smell you. If it doesn't like you, it will go away again. If it does, it will stay." The original psychiatrist who did all the research that would influence Rebel was completely snuffed by Ray. Screenwriter Stewart Stern saw the three characters of the film much like those of Peter Pan (Dean - Peter, Wood - Wendy, Mineo - John). I don't want to give everything away but I do want to point out a couple more interesting anecdotes. Ray's third wife Betty Utey choreographed the great Salome dance sequenced that I loved so much in King of Kings. I thought it was strange that Ray had the King of Kings star Jeffrey Hunter have a nose job so his nose would look more like Jesus' would. WTF?! If you watch Nicholas Ray's films, make a note of the absence of blue. Ray disliked using the color blue in his films because he thought it was a "scene-stealer". I guess Ray would have hated 500 Days of Summer (2009). Overall, the book was very organized and well-written. I had a difficult time at a certain points with the star and footnote system. The font was so small for the star that I would often miss it and sometimes couldn't even find it when I read the footnote. A lot of Ray's films started off with one title and ended up with another. McGilligan uses the first name and then finishes off with the second which would confuse me greatly. Otherwise, if you are interested in Nicholas Ray as a director I highly recommend this very thorough and informative book. Disclaimer: I purchased this book from Barnes & Noble. Great review Raquelle. I agree, the beginning of the book is a much more enjoyable read than the end of the book. Ray's later years were quite depressing. One of the interesting parts in the biography for me was Ray's time that he spent at Frank Lloyd Wright's commune like campus, Taliesin, and what life was like during his days there. 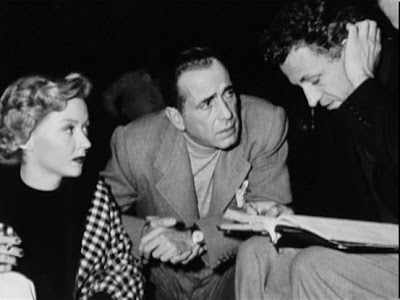 I've always been interested by Nicholas Ray and I do think he was mismatched with Hollywood. At the same time, however, I have to wonder if Hollywood did not rein in what could have been self indulgence on Nicholas Ray's part had he been an indy filmmaker. Since Ray never got the chance to be an independent filmmaker, I guess we'll never know. Ray is a fascinating film maker who made fascinating but not always successful films. however his best work imo stands as some of the best films of their time. i often put him and sam fuller on sort of the same plane, they were mavericks working within the studio system and managed to make films that are often hard to believe ever actually saw the light of day! but i'm sure glad they did! great review Quelle, i may have to get this book! Robby - I remembered you mentioning that you had read the book and was curious about your thoughts. Thanks for stopping by! I have to say, I wasn't all that interested in the Frank Lloyd Wright stuff. Hmm... Although another reviewer mentioned that as a highlight of the book. Mercurie - Perhaps. That's a good point. Maybe Hollywood's control forced him to be more creative or prevented him from going too crazy. At the end of his life, Ray would come up with new scripts that kept getting more and more complicated. In a bad way. Artman/Paulie - Yay! I was hoping you'd stop by. I'm glad for the films that slipped through the net and made it onto screens. Ray wasn't successful but at least he was different and wanted to try different things. I appreciate that a lot. I've read some of the book and "The Glorious Failure of an American Director" is a terrible title, and McGilligan has little insight about him; he was not mismatched to Hollywood but one of those who took American genres and made them richer and deeper through individual handling. I doubt his body of work would be near what it is as an arty/experimental filmmaker. For the time he was a commercial filmmaker, though only about 15 years, he was a commanding artist--working on the same level as John Ford and Vincente Minnelli through those years. There isn't a body of work through those years that can surpass his best--all masterpieces and over half the films. I'm referring to THEY LIVE BY NIGHT, IN A LONELY PLACE, ON DANGEROUS GROUND, THE LUSTY MEN, JOHNNY GUITAR, REBEL WITHOUT A CAUSE, BIGGER THAN LIFE, BITTER VICTORY, WIND ACROSS THE EVERGLADES, PARTY GIRL and THE SAVAGE INNOCENTS. Though they have affinities and were friends, Kazan can't touch Ray overall--at his best he's great but that's rare, and he came up to the above eleven titles only twice, with WILD RIVER and SPLENDOR IN THE GRASS after he had matured as a filmmaker, while Ray was great from the beginning. than McGilligan (and McGilligan really misses it on Ray's direction of women). Ray's personal struggles and demons are beside the point--it's the films he created that count, and they remain glorious and repay endless reviewing. Blake L makes some very good points! i didnt wnant to babble on like i usually do, lol, but Rays body of work IS singularly unique, and tho i dont feel its the greatest body of work of any film maker during that time period (i'll reserve that for Alfred Hitchcock) i certainly feel its one of the best. his films are a one of a kind experience and at the end of the day he was simply a great storyteller, who sometimes really hit the nail on the head in a way nobody else did or could. fwiw i LOVE- They Drive by Night, in a Lonely Place, On Dangerous Ground and Party Girl to name a few. i got to see Rebel on the big screen once and tho i had seen it on video a few times, i was still completely awed by his use of color and of course Deans iconic performance. the kazan-ray connection is interesting, i recall reading a quote from Ray when Splendor in the Grass came out regarding Warren Beatty - "He's just aping James Dean!" man i really wanna see party Girl again now, lol! you always do this to me Quelle, lol! btw a bit of a bummer, the blooper dvd that came with my jack Klugman book is a dummy promo copy and wont play, it has a big sticker on it that says so :(((((((( i had an odd couple marathon starting last weekend and finished off the whole first season, like being a teen-ager again, lol! Nice review. Ray's a darn good director. Seemed to make films that generated great appreciaton of or loathing. My two favorite of his are In a Lonely Place and Johnny Guitar. Blake - Thank you so much for stopping by and giving us your opinion. I like Ray's films, I enjoyed Lusty Men, On Dangerous Ground, In a Lonely Place, etc. but I prefer Kazan's work. Not to say Ray wasn't a brilliant director. I guess just misunderstood? Maybe that's where the glorious part comes in from "glorious failure". Anyways, I really do appreciate the opinion of someone else who has read this book. I never thought at any point that McGilligan didn't admire Ray. I think there was a lot of context but it didn't get away from the fact that Ray was a unique filmmaker as shown by his existing body of work. The author did seem somewhat preoccupied with Kazan vs. Ray. sounds like a good read. interested to learn more about his working relationship with james dean. Have you seen Wim Wenders' film "Lightning Over Water?" It's a sort of gonzo documentary about Ray at the end of his life. It swerves often into disturbing territory concerning Ray's health, though it's interesting as a time capsule and it contains some of the first ever video to film transfers.